TO ENJOY OUR ACTIVITIES WITH YOUR STUDENTS, YOU MUST BOOK AT LEAST ONE YEAR IN ADVANCE SEEN THE SITE’S POPULARITY. 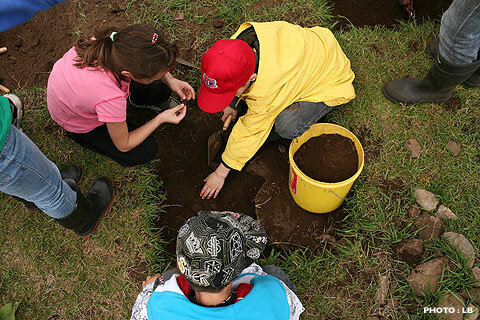 THE IROQUOIAN EXPERIENCE AT THE DROULERS ARCHAEOLOGICAL SITE! INFORMATION AND RESERVATIONS: 450 264-3030 or 450 264-5411. Don’t forget to ask about cost cancellation policies, group size and inclement weather possibilities. Interactive visit of the iroquoian village, the archaeological site and the museum. First activity module: Interactive visit of the iroquoian village and the museum. 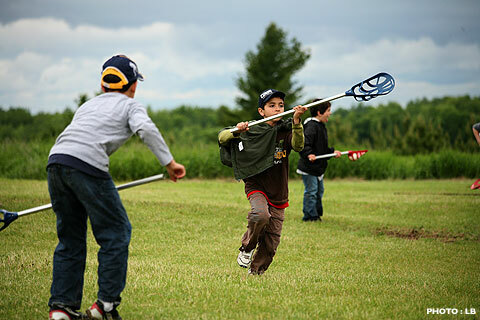 Second activity module: Lacrosse game, treasure hunt, iroquoian coin game, legends. Third activity module: pottery workshop, archery, hunting and fire skills. Cost: 16$/student or 31$/student with on-site supper. A full scale historical reconstruction of a 15th century iroquoian village is a substantial undertaking that has seen birth in Saint-Anicet. It is a place that allows students to develop a precise representation of that society and it’s way of life. The village setting, the artifacts, the animation and other activities will leave significant trace with your students. They will appreciate this visit either as a trigger activity at the beginning of the school year or as an integration activity at the end of the year. Experimentation and a hands-on approach allow students to consolidate their learnings and we are convinced that our resources meet your curriculum requirements. 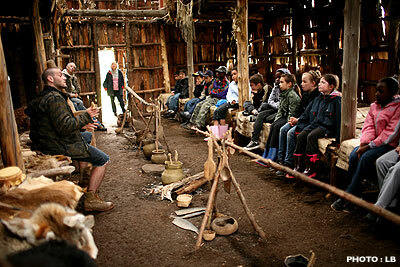 Since 2001, we have welcomed more than 100 000 elementary school students and of all other levels in the longhouses. Our school programming is adapted to your needs. You may choose between 2, 4 and 6 hours activity modules, as well as the Sleepover in an Iroquois Longhouse option.